Islip's new station takes shape on 21 April 2015. Fresh ballast has just been laid, and the supports for the new platforms are in situ. It must be lunchtime, as not a lot of work appears to be going on! 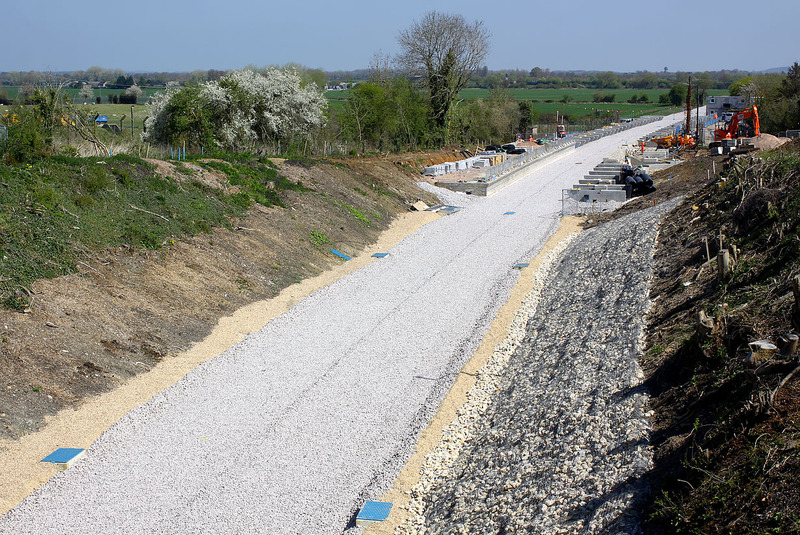 The upgrading of the Oxford to Bicester line is part of Chiltern Railway's scheme to run trains from Oxford to London, via a new chord at Bicester.